From first time buyers to savvy property investors, I have worked with them all. I know that each situation is different and that every client has a unique set of needs. Whether it’s determining if the condo building you’re interested in is a leaker, if the revenue rancher you have your eye on will provide passive income or finding out if the luxury home your family loves is truly worth the asking price, I can help! I personally view many homes every month and if you have your eye on a home, there is a good chance I’ve been in it or have some knowledge of the neighborhood. No question is too small….ask away! Why are you getting into the real estate market? Everyone is different and in order to make sure that your purchase is the best for you, we need to ensure that we have a clear idea of what we want and why we want it. How long will you stay in this home? How many people will be living in the home? What will they need? Project cars? Do we need a workshop? Think of yourself as zeroing in on a target, going from the general to the specific. In fact, the more specific of an idea you have, the easier the home hunt will be for you and I. Many clients apologize to me for having a very specific set of house needs and don’t realize that this is exactly what I want. What city is important to you? Why? Is there a specific neighborhood you are interested in? Where do you work geographically and what will the commute be like? Think about home styles. How much space do you need? Does your situation require a one-level home, or are stairs acceptable? Do you want a newer home, or maybe an older one to fix up? Do you want to have a mortgage helper suite or perhaps just a “man palace?” Is a garage a must or will a carport do? My Needs Analysis ensures that you spend your shopping time looking only at properties that have what you want and allows us to take advantage of the best deals as they hit the market. Call me to arrange for a free, no obligation consultation. Obtaining a pre-approval from a bank or mortgage broker does NOT just give you an idea of what you can afford. In fact, I advise my clients to base their price range off of what their comfortable monthly mortgage payment is, rather than their maximum approved amount. This ensures that not only will you find a home that you truly love, but that you can afford to do the things outside of your home that you enjoy in life. A pre-approval also enhances your negotiating power as the Sellers can rest assured that you have the approval of a bank or broker behind you when it comes down to writing an offer. Make sure that you ask your mortgage professional any and all questions you have about the different types of mortgage programs that are available. I work with a select group of mortgage professionals from main banking institutions as well as mortgage brokers who have access to private lenders. Each and every one of these professionals work evenings and weekends so that if we find the perfect home, we can move on it quickly. Call me to speak with your professional now! My personalized automatic search system is tailor made for each and every client. This system ensures that you are sent listings that fit your needs as soon as they are listed. This means that in some cases you will see brand new listings up to 3 days before they are viewed by the general public on sites like mls.ca, giving you first option at the home. Call me to take advantage of this powerful system! 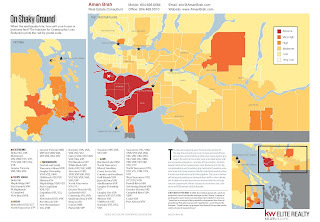 If you are looking for Foreclosure properties in Metro Vancouver visit MetroVancouverForeclosure.com and start receiving exclusive access to all foreclosure properties before the public. Whether it’s interpreting strata minutes, negotiating a holdback for repairs on a building that needs work, handling negotiations, obtaining quotes for repairs or just simply providing advice on your next steps, I am there for you and your family. I take my career seriously and want to make sure that all of my clients are happy for years to come. I strive to build each relationship based on three values, being honest, ethical and professional.